GOLFstats Inc. is a subscription-based golf statistics and information service based in Prescott, Arizona and Leesburg, Virginia. GOLFstats was created by Sal Johnson in 1996. Sal’s experience in golf media, analysis and statistics includes previous positions at ABC Sports, Sky Sports, Golf Digest, Golf Magazine, Golf World, GolfWeek, and Sports Illustrated, where Sal remains a contributing writer. 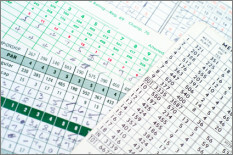 GOLFstats provides access to the largest golf results database available online via a unique and proprietary set of searches, reports, and charts. The GOLFstats database includes tournament round by round results for the PGA Tour, The Champions Tour, The European Mens Tour, The U.S. LPGA, and the 4 Mens Professional Major Championships (The Masters, United States Open, Open Championship, and the PGA Championship). Ed created and launched the very first Golf Web site, GOLFweb.com, in 1994. GolfWeb.com was named the Best Sports Site on the Web in 1995, beating out ESPN.com. GolfWeb.com was later sold to CBS Sportsline and merged with PGAtour.com. Prior to GolfWeb Ed started his technology career by writing the software for the first handheld GPS receiver, at Texas Instruments in the early 70’s, was Director of Computing Facilities at Stanford University in the 80’s, was Director of the SUMEX-AIM Project (Artificial Intelligence applied to Medicine) at Stanford, and created and ran the Internet Marketing Group at Sun Microsystems in the early 90’s. Ed is responsible for all product development, web development, business development, sales and marketing for GOLFstats.com, 24/7 GOLF, golfIQ, and GOLFstats Inc.
Sal Johnson – Founder and Chief Data Officer (sal@GOLFstats.com). We appreciate your interest in our company and our services, and if there is anything we can help you with, please don’t hesitate to contact Sal or Ed via the email address above. Ed, Sal, Jared, Rafal and Brett.